Workwear offering protection against specific hazards makes up an important part of the Dickies workwear range. 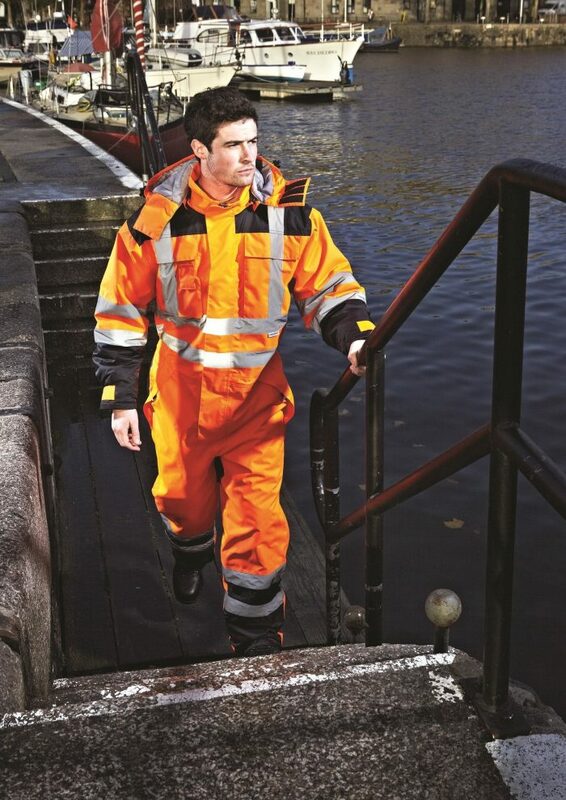 Dickies garments providing flame retardant, high visibility and foul weather protection meet all relevant regulations and are available in different styles. To ensure these industrial workwear products provide excellent performance Dickies utilises the latest developments in fabric technology. Illustrating this is the success of the brand’s Fieldtex garments for foul weather protection. A modern fabric, Fieldtex is light weight but strong, resistant to wind and rain but breathable. This allows perspiration vapour to escape so the wearer stays cool even when performing the most strenuous activities. Dickies(UK) are a leading brand for high performance professional clothing. 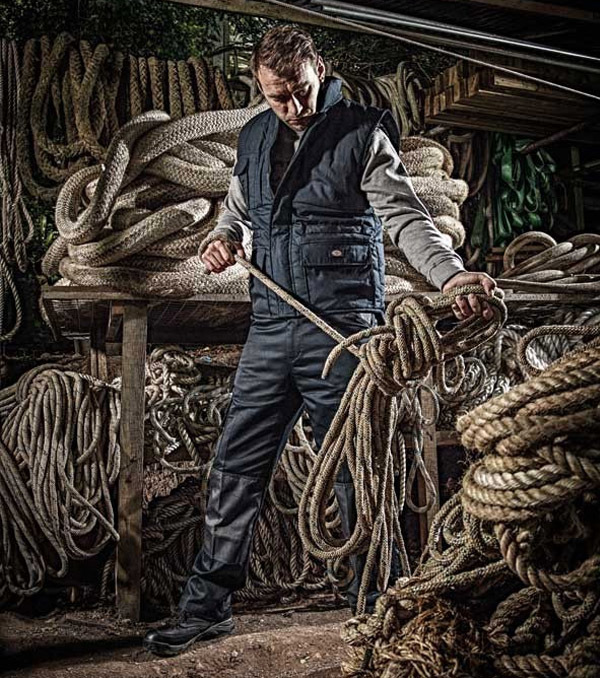 Dickies(UK) produces an extensive range of industrial workwear designed to meet the demands of modern industry: professional clothing for the Professional tradesman in a wide selection of styles. Dickies workwear combines performance, comfort and value for money. Functional and durable, Grafters workwear has become one of Dickies most popular ranges, while Eisenhower workwear offers modern styling without compromising performance. Workers operating in some of the harshest working conditions have found that Dickies clothing won’t let them down. Wherever you work wear a brand that you can trust. Workwear manufacturer Dickies (UK) offers a comprehensive selection of safety footwear fitted with either steel toe-caps or a composite casing. An essential component for all requiring industrial workwear, Dickies Safety Footwear offers protection to current EU standards with added protection from steel or Kevlar midsoles. 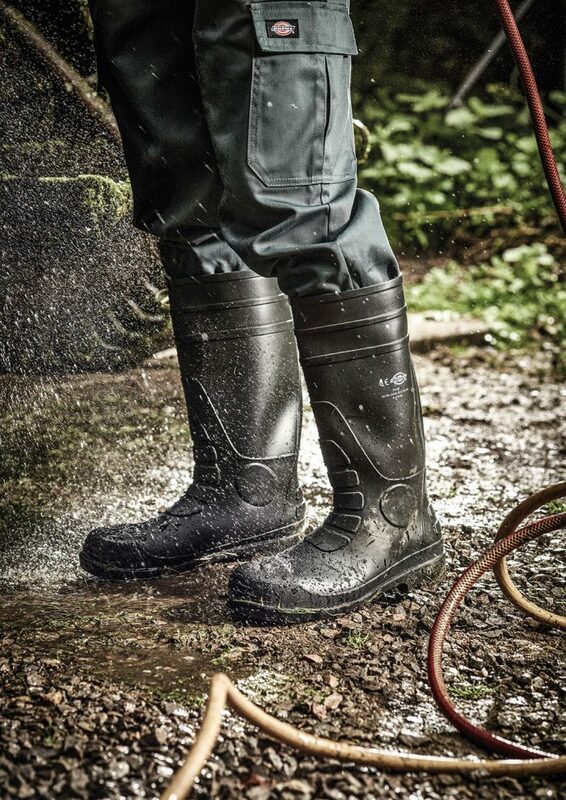 Specialists in safety footwear manufacturing Dickies employ both modern and traditional construction methods in producing a wide range of styles. In addition to the traditional ankle boot customers will find safety shoes and trainers, hikerboots, Wellingtons, Rigger and Dealer boots. In addition to safety footwear, Dickies also offers a select choice of non-safety boots and Wellingtons.